Hi guys! Today, we have a yummy feature under our new category called, Taste. Taste will focus on wedding menus, cocktails, and cakes ideas. We will also dedicate this section in introducing you to everyone who makes these delicious wedding treats happen. And we'd like to start this category with an entry on Hors d'oeuvres. 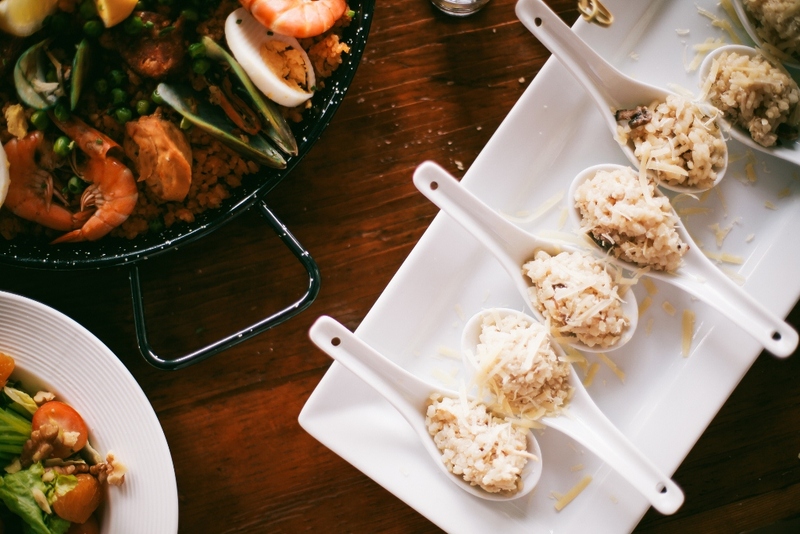 "The French term hors d'œuvre (pronounced "or-derves"), which literally means "out of work" but translates to "outside the meal," is a one-bite item that's either stationary or passed and served separate from or prior to a meal. This means an hors d'oeuvre is typically finger food and might refer to, among other items, canapés, crudités, deviled eggs, and bruschetta. Appetizers, on the other hand, appear as the first courses when seated at the table. They're often slightly larger and composed in a way that complements the entrée and dessert courses to follow." 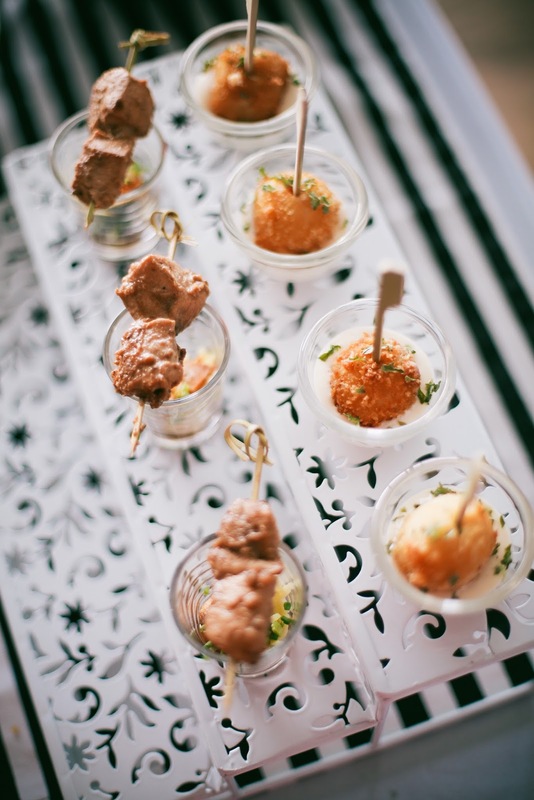 Chef Mia Capay of Q Provisions Catering (based in Manila) creates the most delicious hors d'oeuvres we've ever tasted. 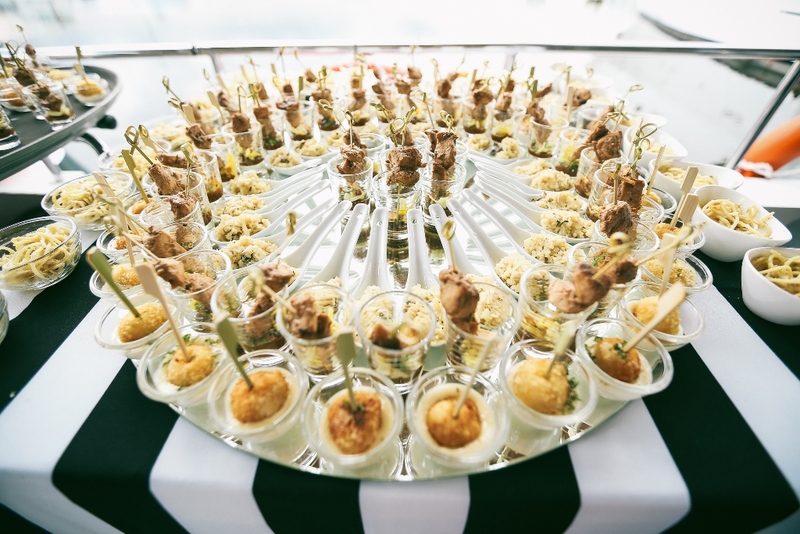 The caterer's kitchen team definitely pays as much attention to these small bites in the same way that they would carefully prepare the main meals. According to Q Provisions, what makes their food special is that they have unique "secret recipes" and that everything they make is made from scratch--even their sauces are not store-bought. For instance, the Adobo sa Manga doesn't have the usual vinegar base. Instead, the base is made of a green mango puree that's freshly made by the kitchen. And instead of soy sauce, they ferment their own bagoong. Sounds tasty, huh? If you want to taste their food, the great thing about it is that they have a restaurant in Kapitolyo called Bistro United. 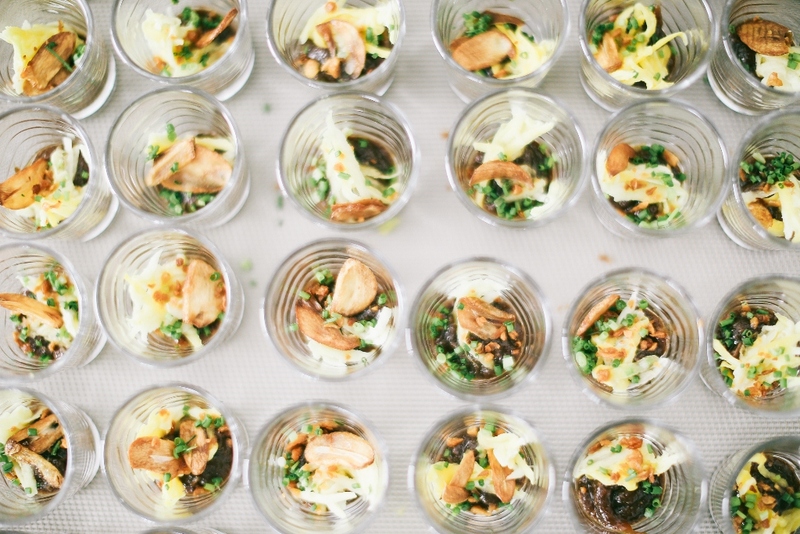 So you don't have to coordinate and schedule a food tasting which is sometimes a bit of bother when you have to email back and forth with the caterer and wait for them to reply. For restaurant reservations, call 470-2366.